M. Dunivant is a 49-year-old woman attending school to become a drug and alcohol counselor. She was not fully in support of Trump from the start, as she thought he was “an egotistical chauvinist pig” when seeing him on stage with the 16 other candidates closer to the beginning of the primaries. She ultimately cast her vote for Trump, not knowing if it would make a difference, but hoping that she would see a change in her country. Her journey to supporting him started with a long day standing in line to get into one of his rallies. The waits outside some rallies could last half a day and even then, there was no guarantee everyone would get in, but in the interest of fairness and giving this candidate a chance, M. Dunivant went to stand in line for hours, just to hear him speak. She was joined in line by her son, his father, and their local pastor. After the long wait they were able to get in and she says the first thing she noticed were the protesters inside the event. They were standing up on a pillar area inside the building and yelling “F**k America” while Trump tried to speak. She describes a moment in which she realized that he was helping to bring about a change, not just in government but a change that people wanted to see in society. A group of elders, as she describes them, approached the young protesters and stood around them and told them to sit down and be quiet. The authority those older men radiated worked and the protesters finally sat down and let Mr. Trump continue speaking. She says that moment impacted her so much, because that is how it should be and how it once was. Our elders were respected and through that respect, held some authority in society. She went home from that rally and started praying about what she saw and about what Trump had had to say. She described having prophetic-like visions or dreams about Trump and knowing that he had to become the next president. It wasn’t just about the man himself she says, it was about a revolution of the people. A fundamental change in society, to get back on the path that God intended. She is a very spiritual and devout person, which is why she allows her life to be guided by her faith, and as such, her faith plays a huge role in her life. The answers that she received to her prayers encouraged her to start researching and learning more about the man himself and gave her hope for the future. M. Dunivant is one of the individuals who believes that their vote for Trump was not just about the man but about a movement, a revolution of society shifting it’s values back to those that are moral and right and just. She believes strongly that we are seeing God’s plan unfold right before us and Donald Trump is just one aspect of that plan. Her joy and hope for the future is infectious when talking to her. She says she is so glad she made that choice and went to the polls to vote for Mr. Trump, she knows in her heart that was what God wanted her to do. 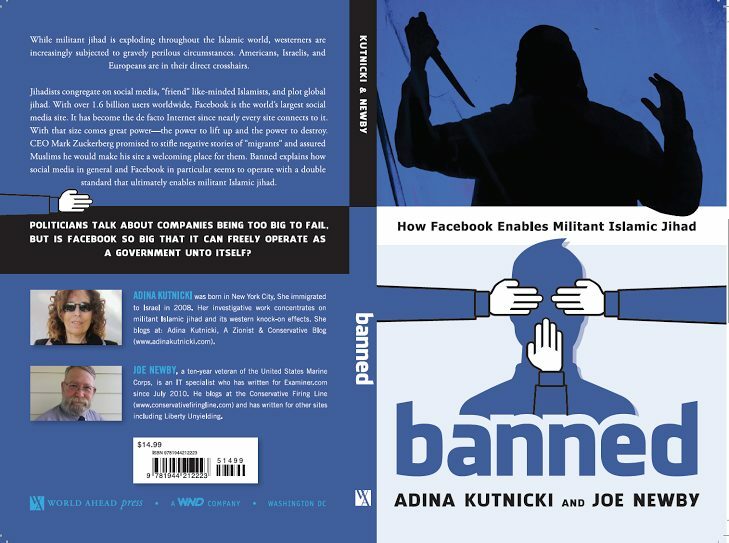 And if you’re as concerned about Facebook censorship as we are, please go here and order this book.